Ogden on Politics: Where's the Emergency? ; Attorney General Exceeds Powers by "Investigating" Gas Stations for Alleged "Price Gouging"
Where's the Emergency? 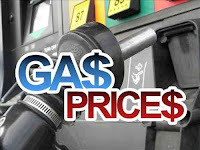 ; Attorney General Exceeds Powers by "Investigating" Gas Stations for Alleged "Price Gouging"
For those of us who have worked regulating the players in Indiana's real estate industry, the biggest complaint we had was the lack of action from the Attorney General's Office. When I was head of the Title Insurance Division, we often dealt with the Attorney General's Office which is responsible for regulating appraisers and real estate agents. I remember well going over to the AG's office and looking through boxes of files, finding numerous examples where appraisers had been deeply involved in mortgage fraud schemes. Yet the files were old and the AG had done absolutely nothing about the appraisers. When we talked to the AG's office about enforcing RESPA with respect to real estate agents, we were told the AG didn't have the power to do so, despite the fact is says right in RESPA that state AGs can enforce it. Because of the AG's failure to enforce RESPA, the Indiana General Assembly passed a bill specifically instructing the AG to enforce the law. Still representatives of the AG's office claimed they had no authority to do so. The AG's office could have done so much to prevent mortgage fraud in this state, but instead were asleep at the wheel. Unfortunately the AG's Office is no better in other areas. A few months ago I dealt with an issue of an employment agency violating the law. The AG was handling a complaint about an employment agency, apparently completely unaware that it is the Department of Revenue that regulates those agencies. (In fact, the DOR has the power to pursue criminal and civil penalties against employment agencies.) When it comes to civil forfeiture, for years Attorney General Steve Carter and now Greg Zoeller have been knowingly complicit in letting prosecutors and law enforcement officials pocket 100% of civil forfeiture proceeds, in clear violation of the law, depriving millions of dollars from the state's schools. Did Carter or Zoeller ever lift a finger to enforce the law? Absolutely not. Although often refusing to exercise the authority that it clearly has, the AG's Office has no problem exercising authority it does not have with respect to alleged gasoline price gouging. 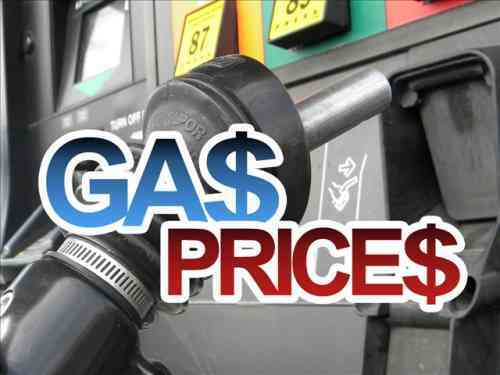 Recently three Indianapolis-area gas stations raised gasoline prices about 20 cents a gallon to $4.17. The AG's Office immediately launched an investigation of this alleged price-gouging demanding records from these stations. First, the price gouging allegation is stupid. The city has hundreds of gas stations. If one station raises its prices 20 cents higher than the next, all it does is drive people to other gas stations with lower prices. Those "gas gouging" stations don't make more money...in fact, they probably make less because of the loss of customers. Unless gas stations are colluding on setting prices (which is illegal and something worthy of investigation), consumers are protected. Second, where is the AG's authority to target these gas stations for alleged price gouging and demand records as part of an investigation? Under Indiana law, the Attorney General is authorized to investigate price gouging under IC 4-6-9.1 et seq. ONLY when the Governor has declared an emergency under IC 10-14-3 et seq. There was no emergency declared. AG Zoeller had no power to conduct a "price gouging" investigation. The owners of those gas stations should consider legal action for the defamatory and unauthorized approach approach Zoeller's has taken in this matter. Today, the AG's Office announced that as a result of its investigation it found that there was no price gouging. Really? So in a period of about 24 hours the AG's Office was able to obtain and analyze complicated financial documents from those three stations and complete an investigation with a conclusion that cleared the stations of price gouging? Amazing. I've never seen an administrative agency work so fast. Of course, the AG's Office did no investigation. AG Greg Zoeller saw a political issue and sought to exploit it. He didn't have the power to do what he was doing and he saved face by claiming an "investigation" cleared the gas stations. This is not exactly the first time Zoeller has lied to the media about his office doing an investigation. He did exactly the same thing when he claimed to reporters he did an investigation into the forfeiture compliance by the state's 92 county prosecutors and found they had not "knowingly" violated the law. Yet Zoeller has failed to produce a single scrap of paper relating to that supposed investigation. His office also lies about doing tort claim investigations, often generating form letters with the declaration that the office "investigated" the matter and found the claim to be meritless. Indiana consumers deserve better than they're gettingr from Attorney General Greg Zoeller. I found it hilarious that the AG's office is doing all this posturing. The cause of the gas price increase was warned on the Alex Jones show beginning last fall by Lindsay Williams who served as the chaplain to oil company execs. One gave him a death bed confession that the elites were going to drive up oil to $150+ per barrel in 2011. When Lindsey Williams goes on the air, his "predictions" are always right. That's because he has the inside information. In addition, you can tie the increase to the current free fall of the U.S. dollar. If you want to preserve what you have left, immediately convert your fiat currency into some kind of commodity, food, oil, or precious metals. Oil isn't going up against commodities, by the way, only against the dollar. America is in decline, and we won't cut our wars and the police state vice laws to stop the bleeding. This country is determined to provide full employment for the military, police, courts and prisons until we blow our last dollar. Melyssa, what guarantee do you have that they simply won't nationalize all gold, silver and farmland if it goes to heck? Other countries, that is, many or most other countries, have more open societies and more benign governments, even if they are a little bad on gun rights. When you sum it up, most foreigners consider themselves freer than Americans. This country controls EVERYTHING you do, and it's among the most brutal in punishing rule-breakers. The smart play is probably to head for the exits. Americans don't way to pay the costs -- direct and incidental -- of US military interventions, so they will look for the scapegoats. Attorneys general are excellent scapegoat locators. As repugnant as slavery is, I almost believe the military draft should be revived. Then the streets would be flooded with protestors and the wars would be brought to an end. Nah, Nick, with the economy in the crapper, military service is guaranteed employment for many who would otherwise be competing for scarce jobs. The military also provides, at least in some communities, instant lifetime credentials for people who would never have any other accomplishment about which to boast. It's so ironic: red-state America claims to revile big government, yet it simultaneously worships the biggest government program of all and its domestic badge-bedecked adjuncts. The Republicans wanted to cut Planned Parenthood but bristled when asked to cut government funding of NASCAR. Cato, I have no guarantee. And I certainly cannot count on the 97% of idiots out there that think fiat currency is real money to back me up either. Alas, my oped for debate on gas gouging and the legality of the AG investigating it has been derailed. Your comment skipped a lot of preceding macro enquiry, Paul. Yep, Paul, you are right. This is nothing more than political posturing by the AG's office trying to look like he's doing something, when he's really doing nothing at all. Or maybe it is to distract us from what he is really up to? I like it when people start out their comment with "Paul you are right..."
While I may be missing the bigger picture you're talking about you may be too. I saw a van with the warning that the world is ending on May 19, 2011. I'm thinking I shouldn't plan too far ahead if that warning is true. So, do I skip paying the bills and go to Ruths Chris every night for the next few weeks? Might as well live it up.